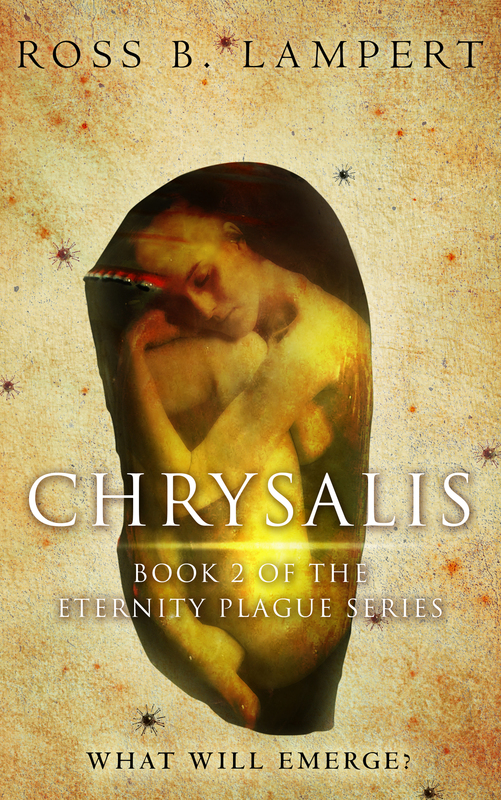 Chrysalis is the sequel to The Eternity Plague and the second book in The Eternity Plague series. Dr. Janet Hogan believes in late 2035 that she’s found a partial cure for the Eternity Plague viruses, but before she can test her idea, an assassin shoots her in the head. While she’s in emergency surgery, her medical team discovers that her skin is turning into a shell. It closes over her face the next day, leaving her no way to breathe. Or eat. Janet isn’t the first to chrysalize. Or the last. Initially, only the seriously injured chrysalize, but then even healthy people all around the world do. By New Year’s Day, 2036, the pandemic seems unstoppable. Yet not everyone chrysalizes. A group of survivors huddle at Reverend Will Baxter’s church in Raleigh, North Carolina. Led by Baxter, reporter Lisa Lange, and former safety lobbyist Sarah Green-Dale, they struggle to survive as society collapses. Will they live long enough to find out what will emerge from the chrysalises? And what will happen then? The POD book is available from Amazon. The Kindle ebook is available from Amazon.